Wollombi is a small, historic village regarded by many as the gateway to the picturesque Hunter Valley wine region. Only a two-hour drive north of Sydney, the village is steeped in colonial and Aboriginal history, and is surrounded by the Yengo and Watagans National Parks. Whether you’re planning a church wedding, a garden wedding, or a ceremony in a vineyard, the peaceful area offers many locations for couples looking for a memorable Wollombi wedding setting. St. John’s Anglican Church was designed by famous architect Edmund Thomas Blacket and was built around 1849. This historic church features intricately-crafted stained glass windows behind the altar and on either side of the nave. Antique brass lamps hang above the aisle, casting a gentle glow over the original cedar pews. The church is equipped with a 150-year-old pipe organ that is used regularly for weddings and Sunday worship. The Church of Saint Michael is a small sandstone church built around 1840, which has been restored to showcase its original beauty. St Michael’s seats 80 guests, making it the ideal church for smaller weddings and intimate gatherings. This church has a traditional organ, and a sound system for more contemporary musical choices. St Michael’s welcomes all denominations and civil marriage ceremonies. 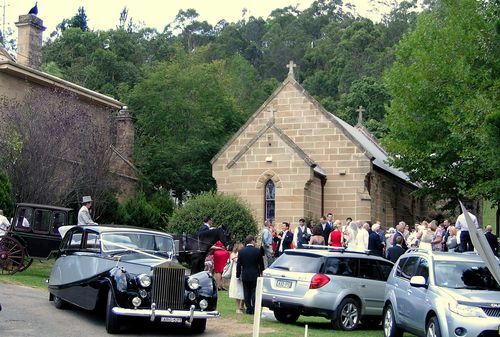 If getting married in a church isn’t your style, you’re spoilt for fabulous location choices in and around Wollombi. Romantic vineyards, lush gardens, tranquil waterways, stunning bush backdrops and even the down-to-earth hospitality of a genuine country farm are just a few of the unique wedding settings the area has to offer. Many of the locations have reception venues close by, and with transportation around the valley easily found, getting your bridal party and guests to your reception won’t be a problem. If the majority of your guests are city dwellers, your wedding celebration may be the perfect opportunity for them to extend their stay in the country and indulge in a little rest and relaxation. It’s very easy to fill many contented hours while exploring the rich history of Wollombi. Well-preserved Aboriginal engravings and tribal markings can be viewed in caves and outcrops in the surrounding countryside. If your interest lies in historic architecture, the Wollombi Village Historical Walk will take you past many historically significant buildings, including the Endeavour Museum. For the creative minded, the Cultural Centre in the heart of the village has regular art exhibitions, and an annual art show can be viewed at the Laguna School each September. For nature lovers, the area has something for everyone. The National Parks offer a range of bush walks with varying degrees of difficulty and distance. Or simply enjoy watching the many species of birds and animals that are especially active in the area at dusk and dawn. Of course, no trip to the region would be complete without exploring the Wollombi Valley Wine Trail. The majority of the vineyards are small, family owned operations; some have been producing wine since the 1850s. Often the grapes are hand picked and hand processed to produce the fine wines the valley is famous for. With celebrants, caterers, photographers, florists and musicians available locally, and plenty of elegant guesthouses and quaint bed and breakfasts for your guests to enjoy, planning your Wollombi wedding will be a pleasure. You may even decide to stay for your honeymoon! Photography is without doubt one of the most important elements of your wedding day, whether it’s the posed formal photographs of the bridal party or the candid shots of all those lovely spontaneous moments that make weddings so special. Your wedding photographs form the most tangible reminder of your big day in years to come. Photography is one of the most important things not to skimp on, no matter the size of your budget. Here’s why it’s vital to hire a professional photographer who is skilled and experienced, and someone you are comfortable with. It’s a fact almost everyone has a camera, and many of your family and friends will take candid shots during the celebrations. But very few people know how to swiftly adjust a camera’s settings for just the right amount of light, get the focus precise, take a shot and immortalise a perfect moment – all at the same time! A professional will photograph you and your groom at your best and make you feel so at ease and comfortable that every candid encounter will be captured without a hint of awkwardness or fuss. At the end of the day, a professional photographer using professional equipment will produce the highest quality photographs, edited and printed to achieve the best possible result. What more could you ask! Although planning a wedding is all about the details, celebrating a wedding is all about the people. This is something that can be overlooked in the bustle of planning your day, but it is an important factor when it comes to your wedding photography. An experienced wedding photographer will understand that weddings are sometimes the only occasion where all extended family members are together, and they will be on the spot to capture each and every happy reunion. Looking back on these special images will enhance your sense of family togetherness on a day where love is celebrated. So now that you appreciate the benefits of hiring a professional wedding photographer, the hard part begins – choosing the right studio for your needs. They key things to look for are communication skills, professionalism and bang for your buck. We think 3L Photography fits the bill nicely. The team at 3L Photography believes that good communication is the key factor in creating wedding photographs that not only capture the events of your wedding as they happen, but also the emotion and atmosphere of the day. 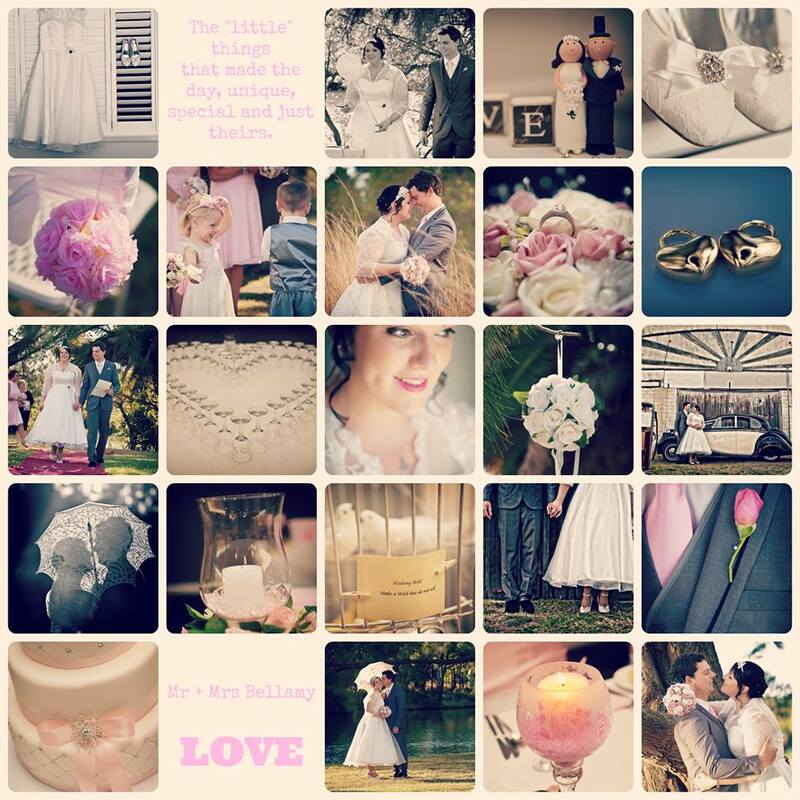 3L Photography specialises in photography for small to medium-sized weddings in and around the Hunter Valley region, and the team is known for a very personal and flexible approach. Take a peek at the design-it-yourself online tool and you’ll see how easy it is to choose the photographic coverage that best suits your wedding day, and skip the products and services you don’t need. This allows your wedding photography package to be unique and individual, not the cookie-cutter version many other studios offer. It can be tough fitting the cost of a quality photographer into your wedding budget. That isn’t a problem when you hire 3L Photography. The studio’s DIY packages not only allow you to choose a package tailored to your wedding, they give you the opportunity to tailor to your budget as well. Regardless of the size of your budget, it’s a good idea when making your selections to focus on the services or products that are going to fit in with your wedding theme and add to the atmosphere you’re hoping to create. Think, “What will work best for my wedding?” rather than “What’s cool and trendy right now”. Finally, even though having your wedding photos stored digitally is just the way it’s done now, it’s still worth immortalising your day with a traditional wedding album. The digital version is great for sharing, and to keep as back-up in case you need reprints, but there’s always something wonderful about being able to leaf through an album on the sofa with grandma! Lake Macquarie is situated on the east coast of NSW, around one and a half hours north of Sydney. The lake is the largest saltwater lake in Australia, and offers 170 kilometres of beautiful shoreline nestled beneath the picturesque Watagan mountain range. 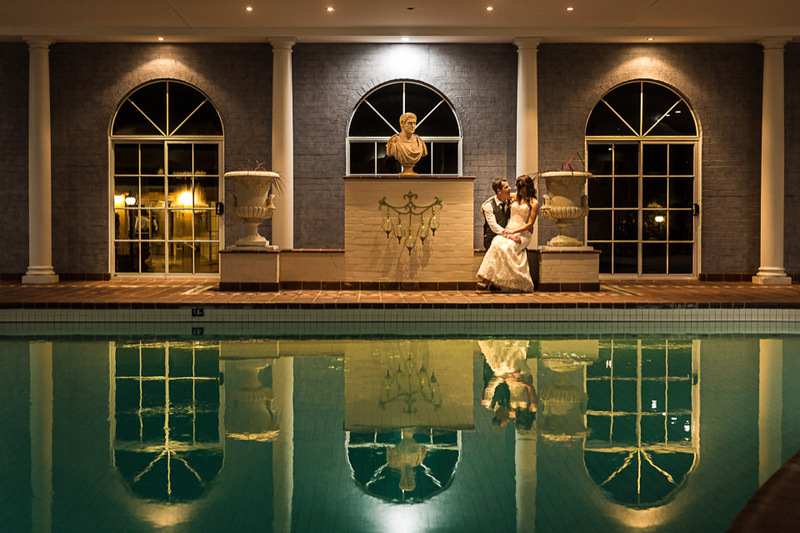 Lake, beach, bush or park, Lake Macquarie has the ideal wedding setting for couples searching for a romantic atmosphere combined with spectacular natural scenery. One of the main things you should take into account when considering a lakeside wedding is how easy the spot will be for your guests to locate. If you’ve chosen one of the area’s pretty parks alongside Lake Macquarie, your guests shouldn’t have any trouble. If you’re set on one of the myriad more private lakeside locations, it might not be clearly signposted. If this is the case ask the local council if you can put up your own signs for the day, and ensure each guest has a detailed map. If many of your guests have flown in from other states, hiring a bus to transport them to the ceremony and back to the reception can prevent any potential confusion. A lakeside wedding in Lake Macquarie comes with some of the most impressive natural beauty there is as a backdrop, giving your photographer many unique photo opportunities. Imagine exchanging vows while silhouetted against the softly romantic colours of the sun setting over the lake, or the bleached grey planks of an endless jetty highlighting the beauty of your bridal gown. If you’re looking for a watery wedding, but you prefer beachfront to lakeside, then this region has you spoilt for choice. Although a beach-themed wedding can be casually chic and romantic, it does require some planning, especially when it comes to the weather. Have plenty of umbrellas on hand as a precaution against the heat or an unexpected shower of rain. Setting up a drinks station under a market umbrella is also a thoughtful gesture, and will ensure the groomsmen and early arrivals stay hydrated – especially in the hot Aussie summer. Keep in mind, it’s not a good idea to keep your guest waiting under a hot sun while you arrive fashionably late. 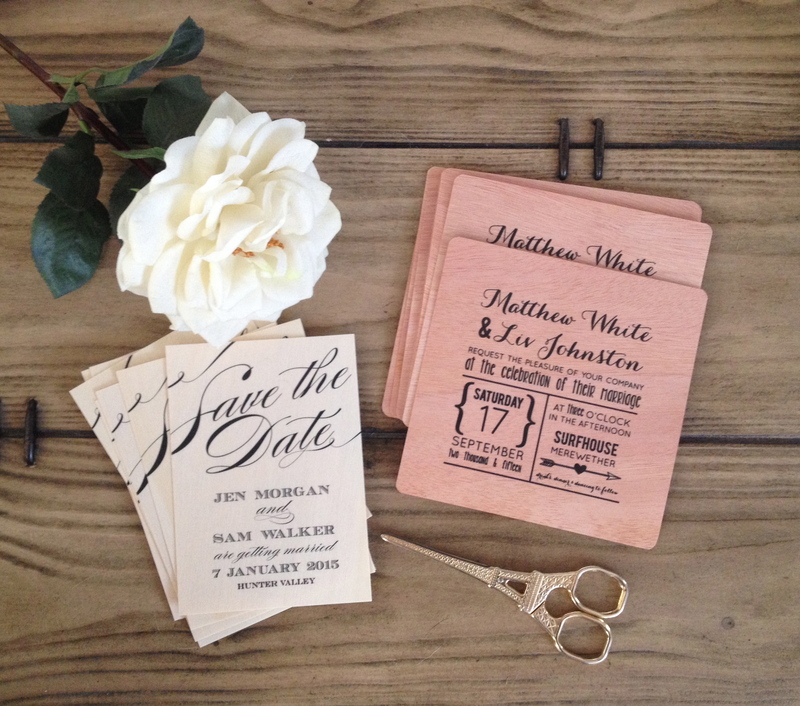 This is one wedding where your guests will appreciate your timely arrival! 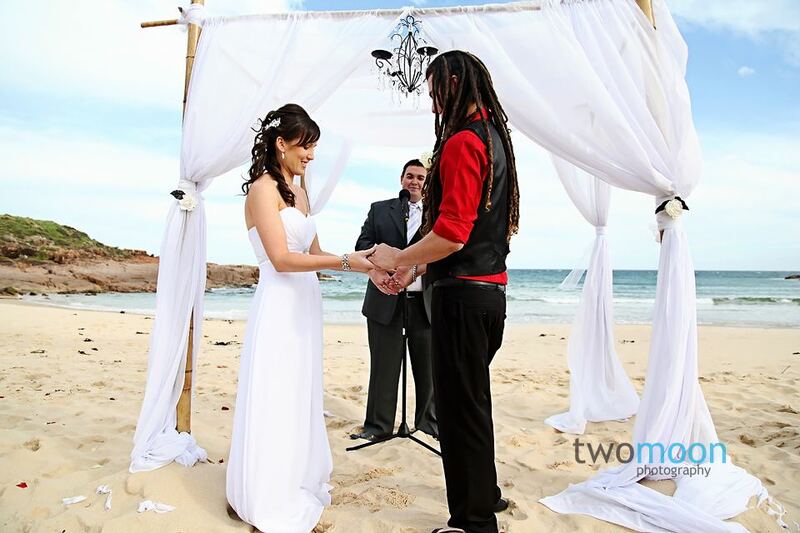 Weddings in Lake Macquarie don’t have to involve water. If you’re a country girl at heart, the Watagan mountain range is ideal for holding an Australian bush-themed wedding. A wedding held in a bush setting is a wonderful excuse to literally relax and wear flowers in your hair, especially native wildflowers. Your wedding colours can mimic the strong hues of Australian wildflowers or you can go with soft mossy greens, woodsy caramels and deep ochre reds. Think rustic chic and you can’t go wrong. Take the Australian bush theme a step further by adorning the reception tables with gum leaves and gum nuts, and cook and serve reception food Aussie barbeque style. Choose classic Australian soft rock for your guests to dance away the night, and planning your bush wedding is complete. Start by checking out our listings for weddings in Lake Macquarie, and remember that (as with all in-demand wedding locations) it’s best to book your ceremony site, reception location and your photographer well in advance. Scouting out potential wedding venues in Lake Macquarie is also the perfect excuse to spend a weekend or two exploring the area, while grabbing some rest and recreation. Remember to take your camera with you to snap photos of venues and locations that catch your eye. That way when you get back home, you have a visual record of your favourite places to remind you and help you make your eventual choice. Your wedding day is without doubt one of the most important events of your life. You celebrate your commitment to each other in front of your closest family and friends, and there are special moments that only happen on your wedding day. Weddings produce emotional moments, solemn moments, funny moments and even downright crazy moments, and they all deserve to be captured and re-lived for many years to come. That’s why hiring a professional photographer to take control of your wedding day photos is a smart idea. Accredited professional photographers Josh and Jules from Living Light Photography are experts in the field, and are dedicated to not only ensuring you end up with beautiful photos, but that your time spent with them on this most important of days is enjoyable and fun. Josh is a fully accredited member of the Australian Institute of Professional Photography, and between them, Josh and Jules have won numerous photography awards. They are also two of the very few photographers around who do their own fine-art printing in-house, using traditional fibre-based paper. This type of paper is often used by museums due to its ability to produce excellent tones and stay colour strong for many, many years. So why should you hire a professional photographer when modern technology means nearly all your wedding guests will have a camera, and many will be taking photographs on your big day? Your wedding day is a once-in-a-lifetime special occasion, and professional photographers like Josh and Jules have the experience to know what makes a good shot, what key moments you will particularly want caught on camera, and they will be concentrating on capturing all the magic as it happens. 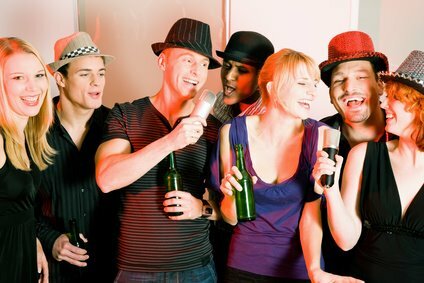 Your guests on the other hand will be concentrating on having a good time, and enjoying the occasion with you! It also comes down to the quality of their equipment. Living Light Photography has the right camera equipment, lighting and the essential props to ensure your wedding photographs are beautiful and unique. 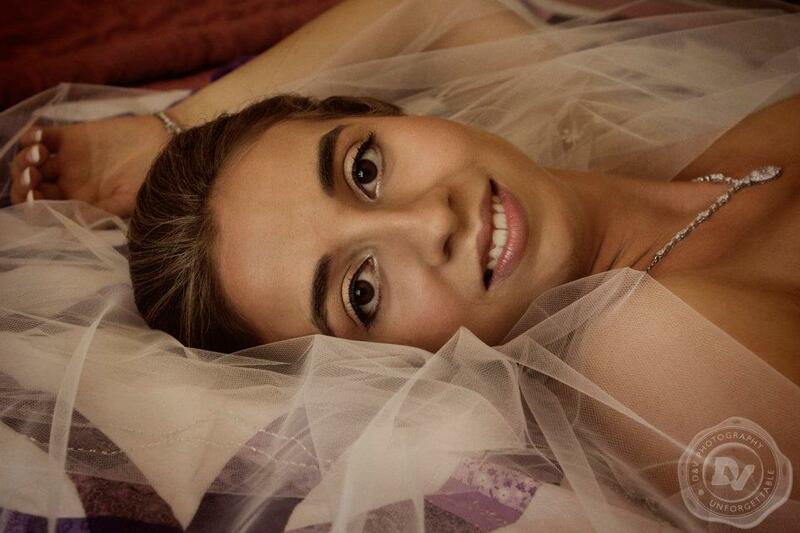 Let’s face reality, weddings are expensive and professional photographers don’t come cheap. Adding a significant cost to your budget by hiring a professional photographer may have you hesitating, but we’re betting very few brides will ever regret finding the money for the service. Your wedding day is going to go past in a flash, and there will be lots of special moments that you won’t notice happening on the day. Having a photographer on hand to capture all the fun (and probably a few happy tears as well!) means you won’t miss anything and you’ll have a wonderful record of your day to look back on. Not a wobbly angle or a red eye in sight! Josh and Jules’ prices are competitive, and are based on quality and value. And best of all, you won’t have to worry about missed opportunities, or memory sticks going astray in the excitement. One of the main benefits of hiring Josh and Jules is knowing that you’re hiring professionals who are passionate about what they do. They will make sure you will be able to show every special moment of your wedding day to your children, and even your grandchildren, as the years pass. If you’re looking for live music at your Hunter Valley wedding reception, why not consider hiring a DJ to entertain your guests? Typically, hiring a DJ is less expensive than a hiring a live band or other live entertainment. They usually have access to numerous music genres, and can cater to a wider variety of tastes. However, it is vital you ask potential Hunter Valley wedding DJs a few specific questions to ensure your final choice is legitimate, professional and trustworthy. Are they a wedding DJ? As you begin your research, you’ll find there are different types of DJs available. Some specialise in corporate entertainment, while other specialise in parties. Ideally the DJ you’re after will specialise in weddings, or at the very least have lots of wedding experience. An experienced wedding DJ will know the order of proceedings at a reception and will have the perfect song for each moment. They will also be prepared for any unexpected glitches in the proceedings, and can quickly divert attention ensuring everything goes as smoothly as possible. Are they registered with ARIA? In Australia, professional DJs must be registered with the Australian Recording Industry Association (ARIA). If they are correctly licensed, you can be sure the songs they play have been legally obtained and are of the highest quality. It may seem like a slightly invasive question to ask, but a DJ only sounds as good as their equipment, so the answer is vital. Cheap or outdated equipment can look and sound terrible. The last thing you want is the music to die in the middle of your reception. Typically, a seasoned Hunter Valley wedding DJ will also have replacements on hand to cover equipment failure. Have they performed at your reception venue before? Because every venue potentially poses different challenges, it’s crucial your wedding DJ is familiar with the room size, acoustics, placement of power outlets and security at your reception site. There are many wedding reception venues in and around the Hunter Valley region, and even the busiest DJ would not have performed at every site, so ask them to familiarise themselves with your venue before the date. What happens if they are unable to perform? Despite careful planning, accidents happen and unavoidable difficulties crop up, so it’s essential your DJ has a backup strategy if they are prevented from working on your wedding day. A professional DJ will be prepared for any circumstance, but you should know what their backup plan is and be comfortable with it. The final, but perhaps the most important, consideration is to be sure your DJ is on the same musical page as you. Do they have a printed song list you can look at? Will they accept a playlist from you, and can it be altered? Can you submit a ‘do not play’ list? Are they willing to take special request for guests? An experienced wedding DJ should be able to take these types of questions and requests in their stride and easily accommodate them, but the questions do need to be asked well before the big day arrives. So when you’re looking for the right Hunter Valley wedding DJ to perform at your wedding reception, do some research, meet with them, check off all your questions and make sure you are satisfied with the answers before you book them. The last thing you want on your wedding day is a glitch with the music! Flowers are an integral part of most wedding days, and can often be one of the really costly items in the budget. Depending on your style of wedding and personal taste, you might have a simple bouquet and one or two main floral arrangements at the wedding venue. 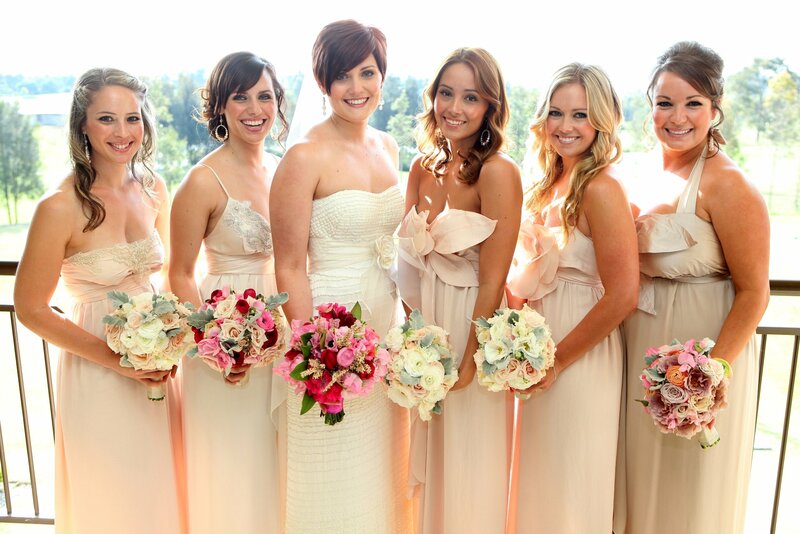 Or you might want a reception overflowing with beautiful blooms. But no matter what you choose, there are a few ways to keep your florist costs down. As one of our Hunter Brides on our Facebook page knows, it can be cheaper to buy flowers for a small number of centrepieces from a local florist on the day, instead of ordering them from the florist who is doing your bouquet and other flowers. Our bride is getting married at Pokolbin in the Hunter Valley, and was looking for a local florist where she could get two roses for each of her centrepieces. She was flooded with great suggestions after she posted her query on November 8. 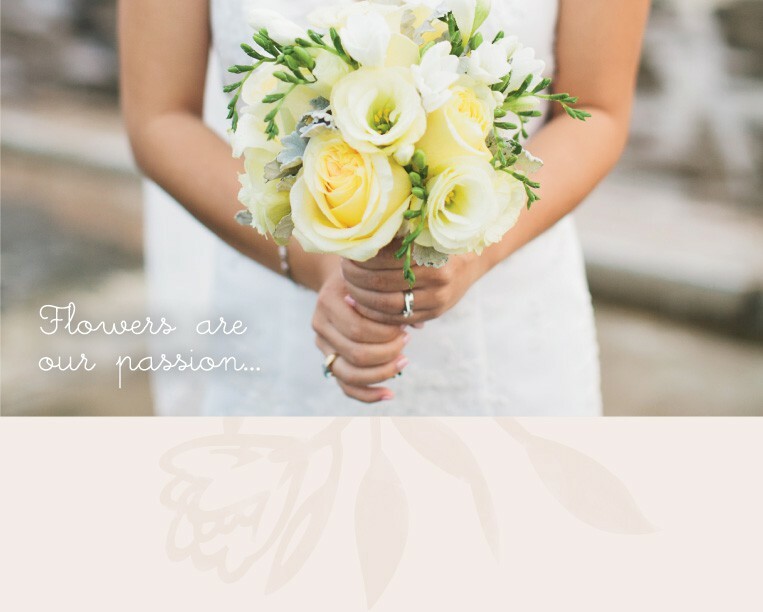 We love Jade Macintosh Flowers, which not only supplies flowers to weddings in the Hunter Valley region, including Pokolbin, but also hires out vintage medicine bottles, mason jars, versatile glass cubes and timber boxes of all textures and sizes. If you are going to leave something like your centrepieces for the day of your wedding, it’s a good idea to check the day before if the florist has enough stock of the flowers and colours you want. This gives you time to come up with an alternative plan if you need to! See if you can reserve the flowers, and delegate someone you trust to pick them up on the day. As well as picking up a few flowers cheaper on the day, you can keep costs down in general by choosing flowers that are in season. Anything exotic or out of season is going to be more difficult to source, and therefore more expensive. If you or one of your friends or family members is creative, you also have the option to buy your flowers in bulk and create your own centrepieces. It’s important to have a practice before you go down this path though, to make sure you can come up with something that looks good. If you can bring out your creative side, doing your own centrepieces can not only help save you money, it can also add a lovely personal touch to your reception decorations. If you’re having a wedding with a rustic theme, consider wide-mouthed mason jars, stuffed with country-style blooms. If you’re aiming for a more elegant look, vases with one or two tulips or roses can be decorated with a simple ribbon. You can’t really go wrong! With the current rage for all things Art Deco and 1920s, why not consider birdcage centrepieces? Smaller birdcages look effortless and classy with a full-blown rose bloom inside, or a single larger birdcage overflowing with flowers will look spectacular. Tuck ivy strands among the bars and you’ll have uncomplicated but eye-catching centrepieces. Why not consider foregoing flowers for your centrepieces? Fruit bowls can be easy, inexpensive and very effective centrepieces. Imagine a translucent, pearly white, long-stemmed bowl filled with perfect lemons surrounded by a wreath of glossy dark green leaves. Bowls of limes or oranges will also give your tables a pop of colour, or go tropical with mangoes. Whatever flowers you have in mind for your wedding day, there are a few different strategies you can use to help rein in your costs, and still have the eye-catching decorations you want on your special day.